No Costa Rican vacation is complete until you´ve experienced the iconic Arenal Volcano! Upon arriving to La Fortuna, get your cameras ready as you will see why this beautiful mountain is a picture-perfect symmetrical cone loved by cameras everywhere as wisps of steam billow from the top of the volcano's peak. We will continue out of town to the Arenal Volcano National Park where you are sure to get some amazing shots up close and personal while we hike through the surrounding humid rainforest and visit the site of the major eruption that leveled an entire town back in 1968. Although it is not currently spewing lava, we will climb among molten lava rocks at the base of the volcano while our local naturalist guides will blow you away with stories of the volcano spewing lava and belching rocks down its slopes all hours of the day. After our Arenal Volcano hike we are sure you will have built up an appetite, so it is on to our next stop which is a buffet lunch at the Hot Springs Resort of your choice before treating ourselves to a well-earned soak in the hot springs. La Fortuna and the surrounding Arenal region is blessed with many natural hot springs thanks to all of this seismic activity and proximity to the Arenal Volcano. 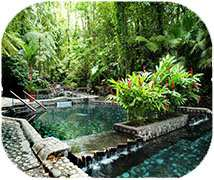 One of the fun and most rewarding things about this one day trip to Arenal is you get to choose which hot springs to visit! Whether you´re in the mood for quiet surroundings to spend quality time with your significant other, or you´re a family traveling together and looking for a kid-friendly atmosphere, there´s a little something for everyone in Arenal! Choose from Tabacon, Baldi, Ecotermales, and The Springs. To learn more about what each has to offer, click below. On our way back we´ll stop in the quaint and friendly town of San Ramon to stretch our legs and eat a lovely dinner to round out our day. Our One Day Arenal Volcano and Hot Springs tour from Jaco is a great way to change the pace of your beach vacation and see a bit of what makes Costa Rica so special. For an adventure worth writing home about and Nat Geo photo ops, book your Arenal Volcano & amp; Hot Springs tour with The Real Deal tours and be sure you are getting the best deals in Costa Rica . Insider Tip: Not sure which Arenal hot spring to choose from? 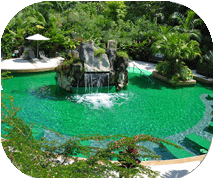 Check out our blog for more information about Costa Rica's most popular hot springs. 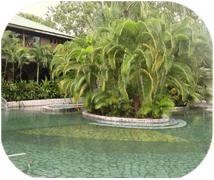 Arenal Volcano and Hot Springs One Day Tour deposit is $40.00 per adult and $30.00 per child. 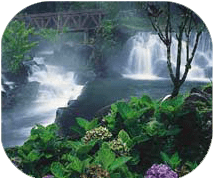 Arenal Volcano and Hot Springs One Day Tour deposit is $45.00 per adult and $30.00 per child.